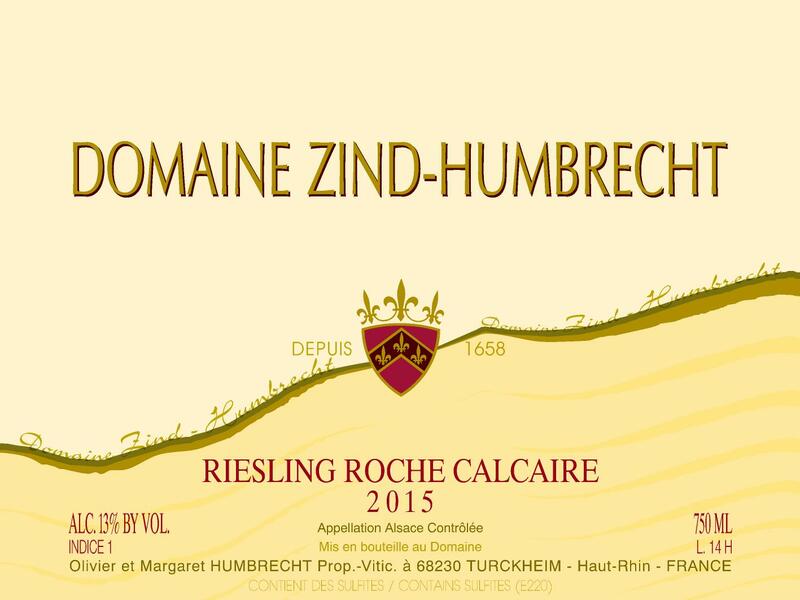 Limestone (Calcaire) is an important formation in Alsace and is located on the foothills of the Vosges mountains. Different geological eras can be found in Alsace, and usually, the oldest types have less free lime and the opposite for the younger soils. This wine is mostly made from vineyards planted by my father in the 60s and 70s around the village of Gueberschwihr (home of the Humbrecht family). They are located on rich young limestone, quite deep soils that take longer to warm up, giving a late ripening cycle to the grapes. Limestone soils make broad wines with firm acidity. This is a very consistent wine made from vineyards that perform very well in warm years. The fermentation is always slower and so is the evolution in bottle.